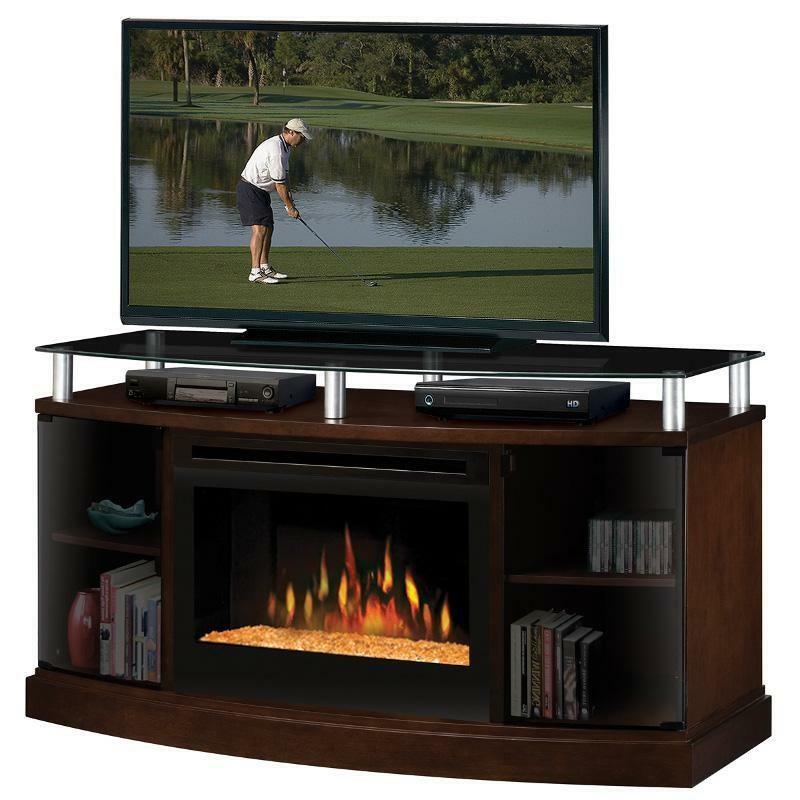 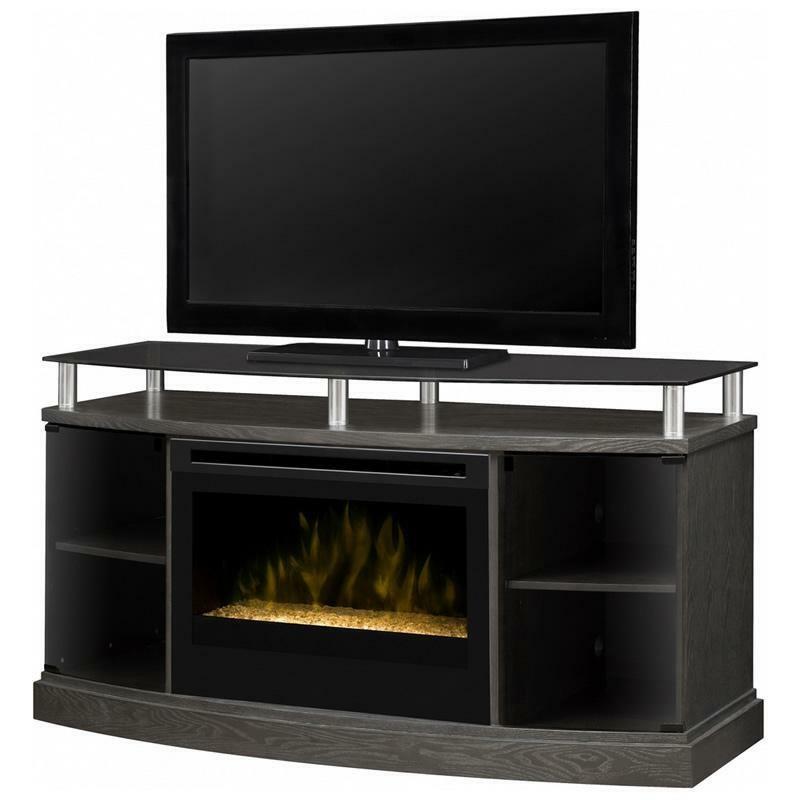 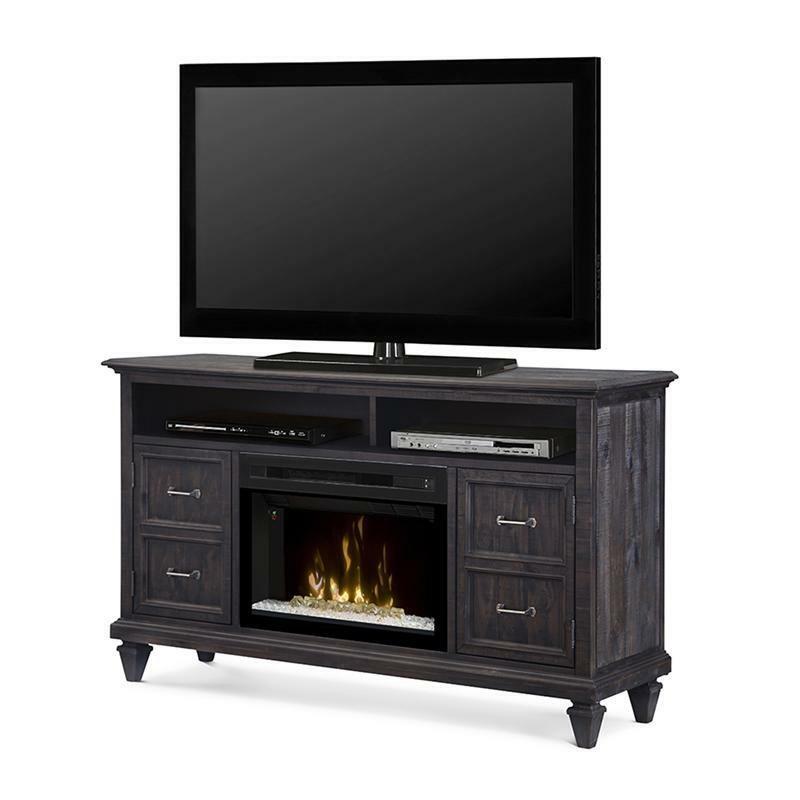 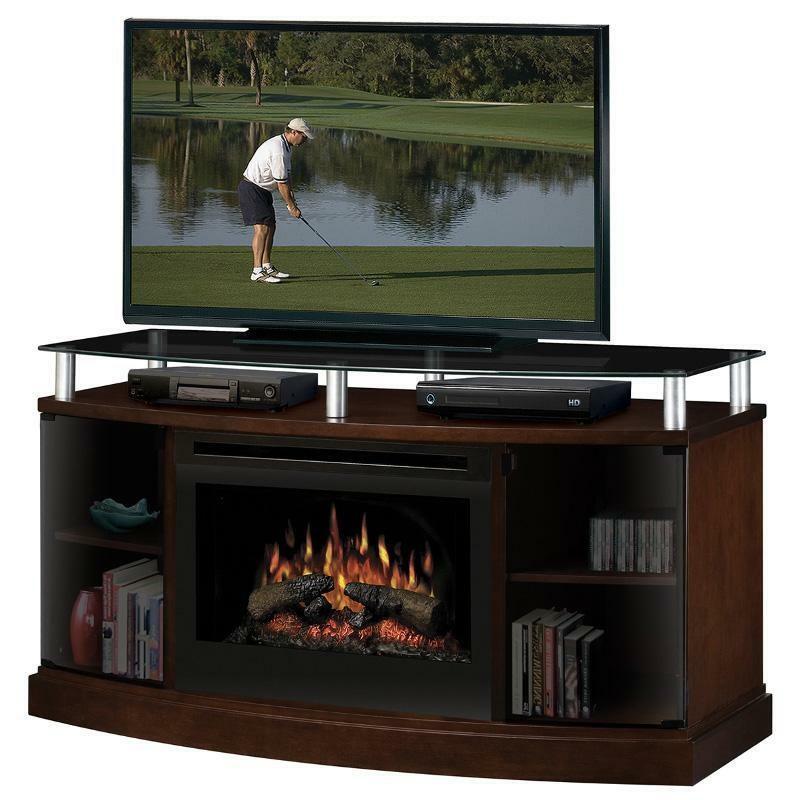 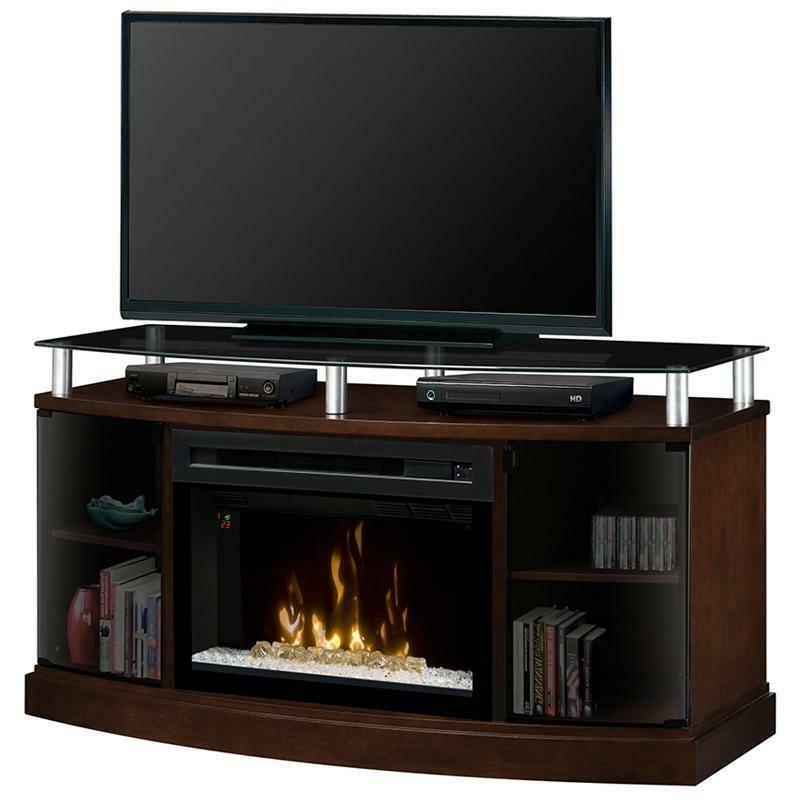 The Windham media console from Dimplex is the modern and elegant solution for those looking for the aura of a fireplace but need an attractive home for their flat screen TV. 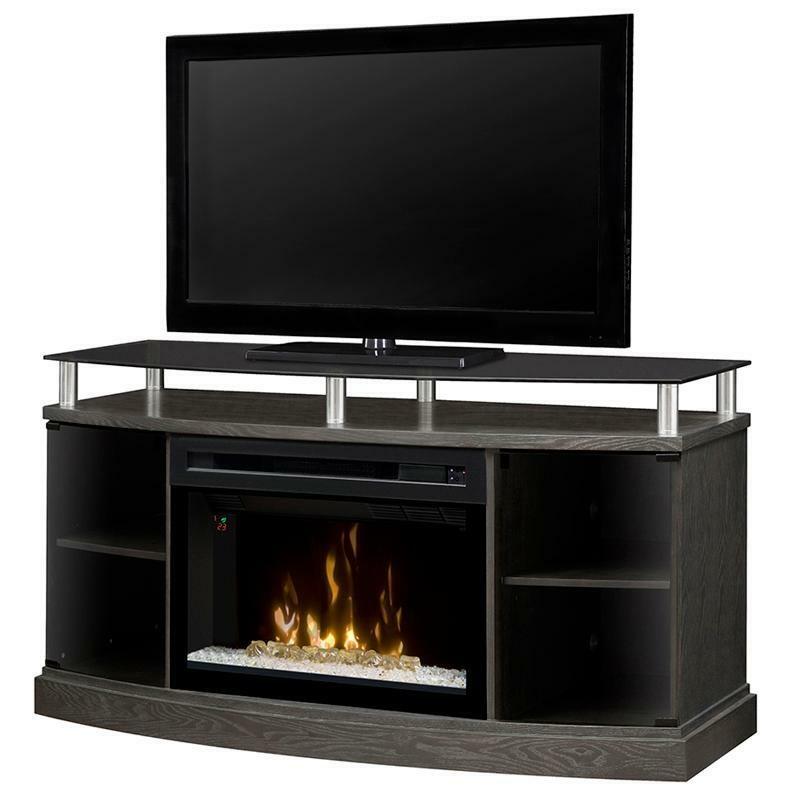 The main cabinet, finished in rich silver charcoal, features a graceful bow front and two generous storage compartments with shelves and smoked glass doors. A robust glass plate, supported above the cabinet by stylish aluminum cylinders, is a perfect perch for your flat screen TV and makes a contemporary décor statement.